Gardening really is a thrifty thing to do but it does take a chunk of money up front to get your garden going. Perennials especially can be big bucks at many gardening stores even though many are hardy and reproduce quickly. Looking around our garden (plus at our old homestead) I can see many plants that we received for free. My lovely garden and “yankee thrift” as Scott calls it, inspired me to compile this list of great perennials you can get for free or cheaply. All of these plants are easy to transfer extras from other’s gardens or the wild. Check out our list then get to know your neighbors and other gardeners in your area. You may get some free plants or be able to barter for them. Another huge plus from acquiring local plants is that you’re getting plants that are adapted to the area your growing in. If you get ones that are already doing well close by you’ll know that they can handle your local climate and pests. I just did another post about mint because it’s so good and so easy to grow. You can find it wild, in many gardens, or at old homesites. It’s tasty, useful, and near impossible to kill. Plus it spreads quickly so you can start with just a tiny bit and have a huge patch in no time at all. If you find some all you need is to dig up a small pot’s worth. Around a 3 inch diameter and 4 inches deep and transplant it in your garden. 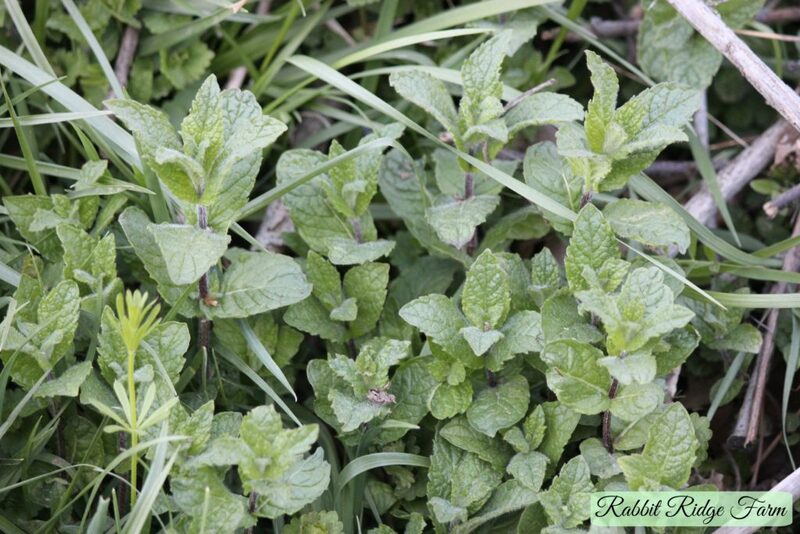 You can find more about mint and growing it here. I don’t have much experience with thyme but I have heard of people moving it like I have moved mint. It spreads when given the chance and in my mind is a great candidate for transplanting to your garden. I would use the same method for moving mint. 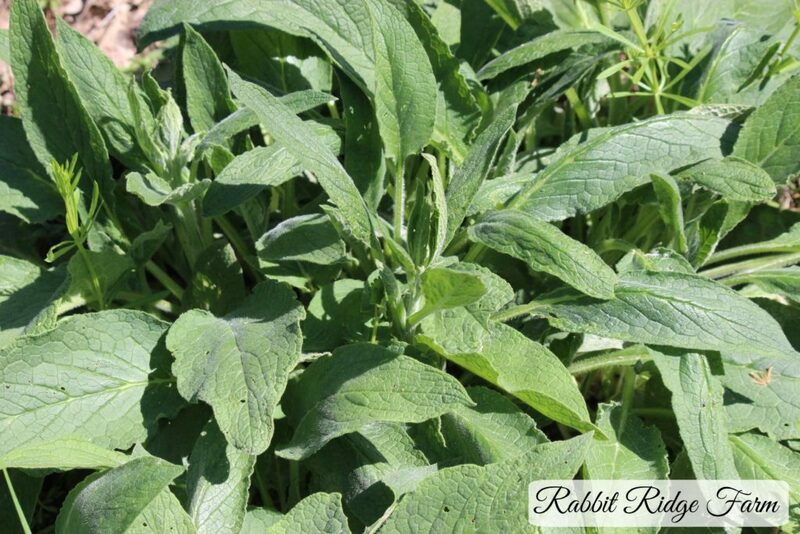 Comfrey is another hardy herb that is commonly used in herbal medicine and permaculture. Medicinally comfrey is used for it high amounts of vitamin C and calcium. It is sometimes called “knitbone” and has been used to treat arthritis, burns, bone breaks, acne, and much more. In permaculture comfrey it is used as a ground cover and can be cut and used for mulch. It also has long roots that bring up nutrients from deep in the soil. To transfer comfrey all you need is a section of root. Comfrey is the toughest of the tough. I’ve read that you can grow from a piece as small as 1 inch but I use 3 inch pieces or longer. If you can’t find comfrey roots in your area it will soon be available at our Etsy shop! Who doesn’t love strawberries? Especially those farm fresh strawberries that are infinitely better than those at the grocery store, am I right? Well being a tasty little jewel isn’t the only great thing about strawberries. 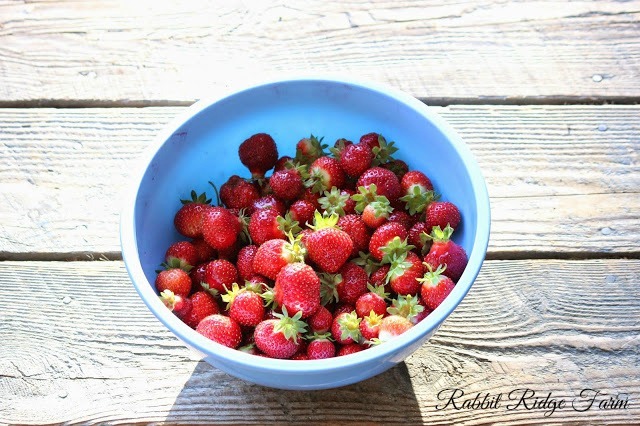 Strawberries also produce tons of runners or baby plants. These runners grow off a vine from the parent plant and then root themselves next to it. In the fall (August in most places) once the runners are established you can clip the vine and transplant the runner or baby plant to your garden. Many people are familiar with raspberries and blackberries but not how they reproduce. Not only do they reproduce by seed but just like strawberries they produce clone plants. They send up shoots next to the parent plant that may be dug and transplanted. Raspberries and blackberries are great for smaller homesteads or homestead renters because they take up little space and are quick to fruit. They don’t say, “I’m rooted to this place” the way and apple tree does. For those of you who aren’t familiar Mulberry trees kind of look likes tree with blackberries on them. Some people say they taste very similar but I think they’re pretty different. They are sweet and delicious though! People also grow mulberries because the birds love them even more than they love other berries so you sacrifice your mulberries to keep more blueberries, raspberries, etc. from the wild critters. While they are widely cultivated there is also a mulberry tree that’s native to Eastern North America. Now I’m not saying go dig up a giant tree but all those birds distributing seeds means that the immediate vicinity around both wild and domesticated mulberry trees is often full of baby mulberry trees, perfect for transplanting. Rhubarb can be transplanted by digging up part of an older plants root ball and transplanting it. Be sure to fill in around the original plant. Hostas are a really common ornamental but last week I read this post from Of Plums and Pignuts and found out that they’re edible! Scott and I only tried a tiny bit so far but they’re pretty good and I’m super excited to try more. Previously we were considering taking out a section of them that is growing near our new home. 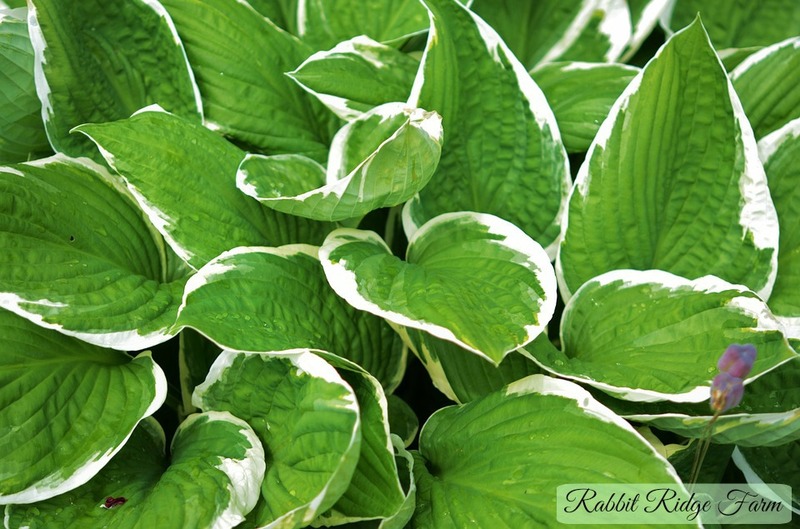 Hostas are another pretty indestructible plant. Follow the rhubarb directions for transplanting. Horseradish is an easy to grow, perennial, root crop that can spice up your perennial garden. After a year or so of growing horseradish plants will create more roots. To transplant some simply dig part of the crown of roots in the spring or summer and replant some of the roots that are about as thick as a pencil. 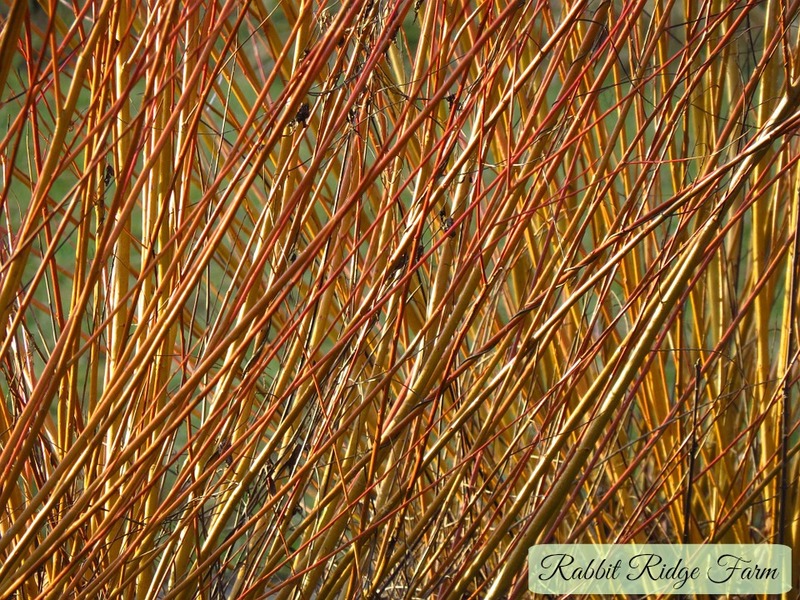 Now I know willow may seem like an odd plant to have on the list of predominantly cultivated varieties but I promise if you have a somewhat wet area of your property willow is totally worth growing. Willow is the perfect addition to any homestead because it has so many uses. Willow is most commonly be used for basketry but it can also be used or other crafts like wattle fencing. Willow bark is also a potent natural medicine. It contains acetylsalicylic acid which is similar to aspirin. It has some other good stuff but if you want to know more about that check out Willow Bark: The Homesteader’s Aspirin from our friends at Stone Axe Herbals. If you want to grow willow all you need to do is find some willow shoots growing wild, snip them off close to their base, and poke them firmly into the soil in a wet area you’d like them to grow. Willow is notoriously good at setting roots which is one of the reasons it’s often used in stream bank restoration projects. It should also be noted that with a little more effort and experience (or youtube, whatever) you can graft fruit trees onto root stock or propagate fruit bush cuttings. Many nurseries offer fairly inexpensive root stock for fruit trees such as apples, pears, plums, cherries, etc. which can have a local variety grafted onto them. So if you love your neighbors apple tree you could graft a branch and grow your own! While this is not really a free solution it can be really cool to continue on an older or unknown variety. You can also propagate many fruit bush varieties. 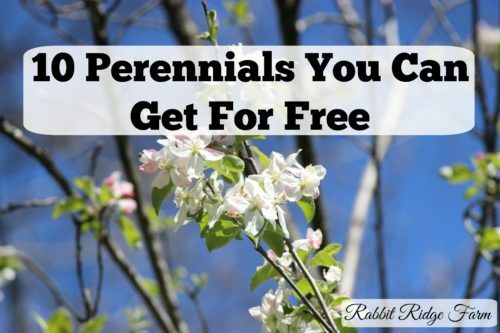 I don’t have a lot of experience with it and it takes more time/effort than the other plants I’ve mentioned but you can get more free perennials! Check out this post to get started. Do you have other plants that should be on this list? Please let us know! **Update** Our friend pointed out that the Day Lilly deserves a spot on this list. They grow like crazy (you want to keep them contained) and are beautiful and edible. The unopened blooms are rather tasty. I’ve eaten them raw in salad or in stir fry. 4 Responses to "10 Perennials You Can Get for Free"
I like to call my mint "yardus interruptus" as it has taken over! You are right, it's nearly impossible to kill 🙂 Thanks for adding this to From The Farm, it's one of this week's favorites! Hope to see you again this Friday! Haha that's perfect and we'll definitely keep checking in at From the Farm thanks for running it!